We regret to announce the passing of Police Officer Patrick Righi-Barnard on Thursday November 25, 2004, at 1:35 a.m. After working the 3rd watch, Officer Barnard set out down I-55 on his way to Tremont Illinois to spend the Thanksgiving Holiday with his family. Pat had stopped to assist passengers of a vehicle that had run off the side of the road at mile marker 171 when he was struck by a southbound SUV. This incident was investigated by the Illinois State Police District 6 and the McLean County Coroner’s Office. Patrick Righi-Barnard was 30 years old and is survived by his parents Cathy and Robert Barnard of Tremont, Illinois, sister Stacey and his girlfriend Shannon. He was a member of the Burbank Police Department for 10 months. 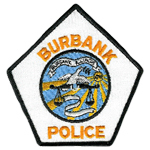 Prior to joining the Burbank Police force he served with the Markham Police Department for 6 years. He also served as an MP in the United States Army Reserve for 8 years. Officer Righi-Barnard attended Eastern Illinois University and was a 1998 graduate of the Chicago Police Academy. Officer Patrick Righi-Barnard was laid to rest in Glendale Memorial Gardens Cemetery located in Pekin, Illinois.